you are complianing about 5 games out of 20 bud. thats nothing. I am sorry but not everyone will agree with you. Your sample size is too small for anyone to really think you are correct here. Haha. Wow did you miss the point. Most of the games are too short. Not just the cluster I singled out. Avg for all games is over 13 mins. I agree with you Taich. The teams were incredibly brutal this weekend, and there were too many games over at a breakneck pace because your good players started the snow ball at the start, or you got curb stomped with nothing you could do to save you little lemmings. With stat viewer turned on it was pretty incredible. There were multiple times you'd see a 45% ovr team vs a 48% win rate team. Or you'd see a 53% team vs a 43% team. Tirpitz- 111 games - 38% - 28k average damage. Benson - 276 games - 39% - 3k average damage. Colorado - 534 games - 27% - 17k average damage. You think that would be an outlier, but it's really not. It honestly mystifies me that people can be that bad. I just don't see how it could be fun. Try to look at it after the Battle and not before, but if there are CVs in the Battle i look at it right away. If i see someone who looks like they are going to derp i will take a quick look, if i see someone who died early and is running there mouth off at the rest of the team i will take a quick look. 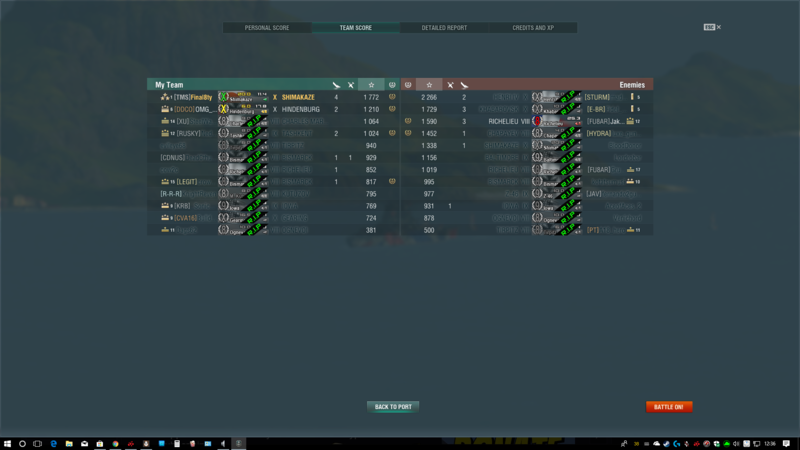 And I thought I was bad in the Kirov........ Compared to those, not so much. Though I am terrible with the Dunkin Donut. I don't see why quick battles are a bad thing. We had a guy with a 29% winrate in his Tirpitz complaining about how he was on a 7 game losing streak, and Adidas had just lectured me a game before about not being rude, and being positive. Because well, if you start negative you already have defeated yourself before the battle begins. So I didn't say anything, but man if you're losing that much in a row, take a break, and after a few minutes review each battle in your head or replay and figure out what you can do better. Go on the forums and ask how to play that ship, and say how you have her setup and play her. I do this, and I have a 62% WR. I get made fun of for being a shitter when I ask questions sometimes. That hurts, but I also know that I eventually will make everyone who pulls that crap eat their words. I'm getting Better but clearly there is huge room for improvement, Im always thinking of what i could of done better and try it out, sometimes it works out and sometimes it's worse, but if every loss is always the others fault then there is no need to try to get better because i'm the best already a loss is everyone else fault, ignore my stats, stats means nothing, im the best i tell you, i just keep getting put on the losing team. Jokes aside i know that some ships i play don't help with carrying like the shima and mainly playing T10 but it's enough to keep me at 52%. I went T6 over the weekend for the french campagnes. Really? What is this a competition? 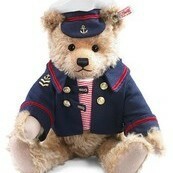 Ok, you got it worse... Feel better now? How about we focus on what matters; even one crapgame is too many. even one crapgame is too many. Then you are gaming in the wrong place. They are gonna happen invariably. 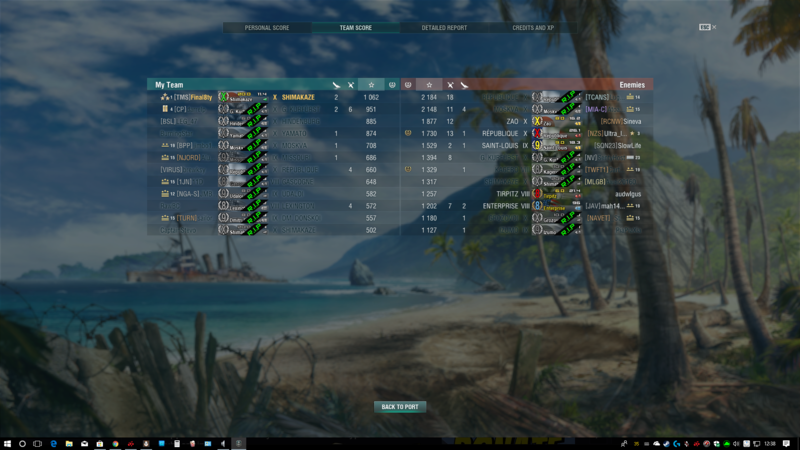 Because the game feels better when it ends with 90% of a team sunk. Crushing them so fast 50% of the losing team is still alive isn't too fun action wise. It at least means someone's moving forward somewhere. It may be a somewhat foolish movement but still that's better that a static match. That's mainly what I mean. The satisfying matches you're talking about are going to happen sometimes one way or another. If most matches were like that I would only play 4-5 a day max since they would be relatively exhausting. Started today with 2 losses in a row but im on the right track. 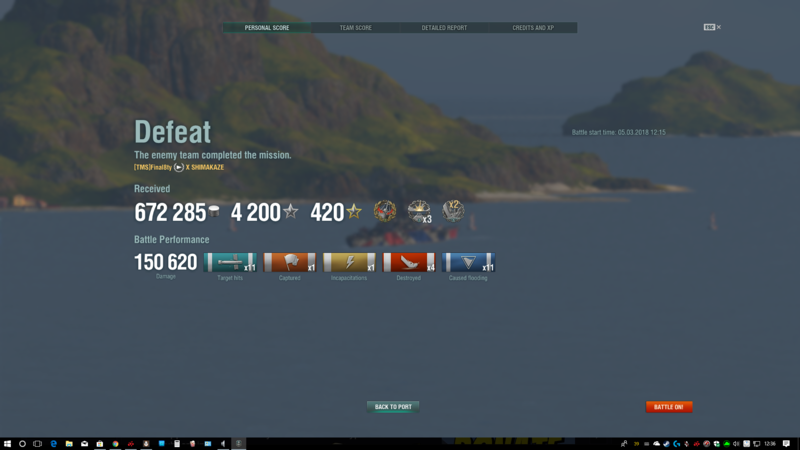 So do away with points lost for sunk ships? You actually understated the problem. A lot of games are decided 60 seconds after first contact. Weekends are always fun. I don’t log my stats, but looking at site that does I lost 2 games out of 11 randoms games I played yesterday with over 90k average damage. I remember having fun. Play a DD and try and do some damage. See, your obsession with damage is the problem. Spot, cap, deny the enemy important areas.. I'm obsessed with damage? You know me so well! If I was "obsessed with damage" I wouldn't be playing Destroyer. What do you think about reducing team size and implementing SBMM?